We came across some very exciting news today: the Android modding community has managed to boot Android 4.0.1 Ice Cream Sandwich on Amazon’s Kindle Fire and a video has been uploaded which shows the work-in-progress ROM. Check out the details after the jump! The news comes from Phandroid – a blog covering all things Android – in the form of a post in which they discuss the Ice Cream Sandwich for Kindle Fire port. This Android Ice Cream Sandwich port will leave quite a few people excited since, if this port actually goes through the complete development process to become a stable ROM, it would make the Kindle Fire the cheapest Android 4.x Ice Cream Sandwich tablet we’ve ever seen (probably). Just don’t expect it to be the fastest Ice Cream Sandwich tablet, though, because of its somewhat weaker specs. 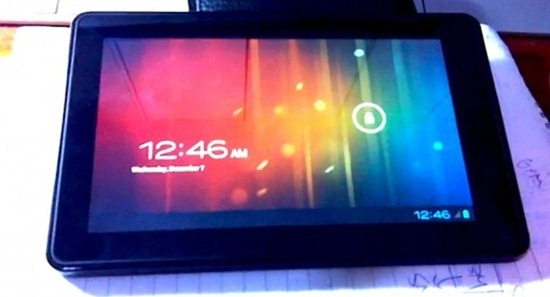 Developer G1011999 has uploaded a 1:41 video over on YouTube in which he showcases his port of Ice Cream Sandwich to the Kindle Fire. As you can see from the video, ICS for Kindle Fire is pretty much in the alpha stage of development and there is a lot of work to be done before it becomes stable enough to be released to the general public (Besides the choppy UI, things like WiFi, audio, accelerometer and light sensor aren’t working). This is the moment many brand new Kindle Fire owners have been waiting for. The day a developer would successfully port Android 4.0 to the affordable little tablet. I don’t have many details regarding the developer, G1011999‘s work (will update the post once I dig around a bit), we can see Ice Cream Sandwich is up and booting. It’s all still very much a work in process and aside from the touchscreen, not much else is working. We’ll surely keep you updated on the Android 4.0 Ice Cream Sandwich port to Kindle Fire, until then you may want to check out our guide on how to install CyanogenMod 7 (alpha) on Kindle Fire after rooting it. You can even install Android Market on it to get access to a wider variety of apps.